Just let me be candid with You – You’ll never regret trying this recipe!!! Start sauteing the onions in a couple of tbsp butter, add the spices and chicken liver and cook until the meat is slightly pink in the center. Now move everything to a food processor, add the rest of the butter and mix until smooth. This is the time to taste the paté and add spices if needed, remember that all food tastes less when cold so if it’s just perfect now it will probably be dull after cooling. Spice it up! 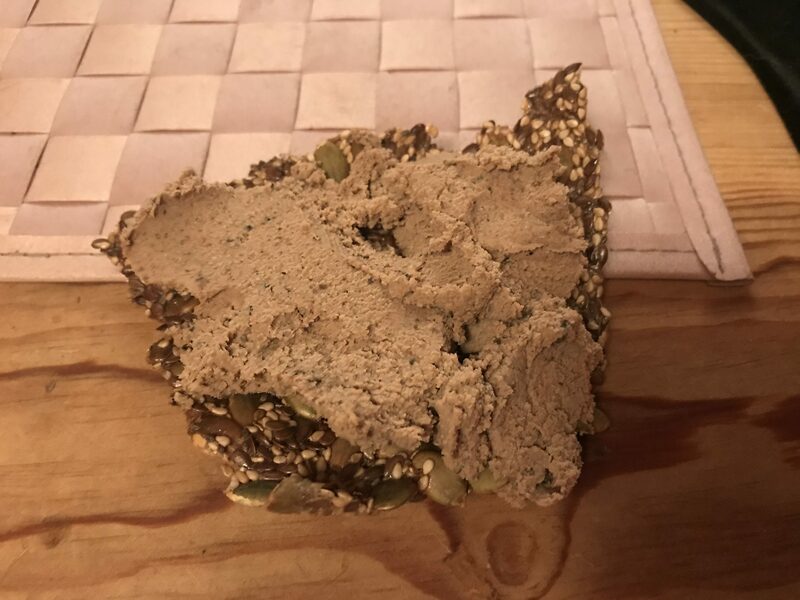 Try the paté on these seed crackers!!! Good luck, have fun and enjoy!! !